The latest Survation polling, conducted from 24th – 28th January 2018 on behalf of the Daily Record, shows Labour down two points in both the Westminster & Holyrood constituency polls, and one point in the Holyrood list vote, when compared with our last comparable polling in early December. The SNP, by contrast, are up two points in the Westminster voting intention; translated into seats, it would mean they could win back nine of the 21 they lost at the 2017 election, including Gordon, Alex Salmond’s former seat. 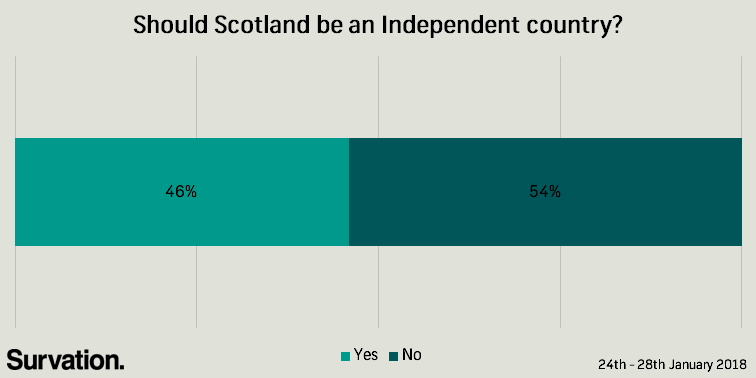 Elsewhere in the poll, there were also voting intentions for a future independence referendum, elections to the Scottish Parliament, and a future EU referendum. The results, and their comparisons to our last polling in December, can be found below. Full tables are available here. Survation interviewed 1,019 Scottish adults aged 16+ from 24th – 28th January 2018. 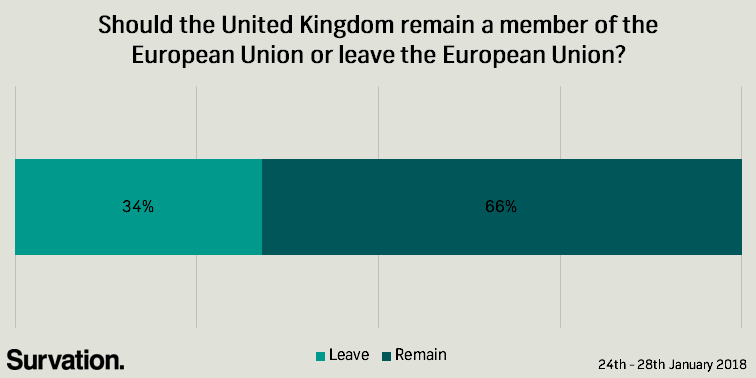 Survation is a member of the British Polling Council and abides by its rules. This work was conducted as part of Survation’s Scottish Omnibus. To find out more about Survation’s Scottish Omnibus, or any of Survation’s other services, please contact researchteam@survation.com or telephone 0203 818 9661. Survation's Senior Project Manager and all-round superstar from 2014-2018. Chris's only experience of failure during this period related to his loyal support of Colchester United and a close affinity with Ricky Gervais' character David Brent in the UK TV version of "The Office". Chris is currently Data Visualisation & Statistics Specialist at House of Commons. Chris graduated in 2013, having studied British Politics and Legislative Studies at The University of Hull School of Politics, Philosophy and International Studies. Course leader, Lord Norton of Louth.